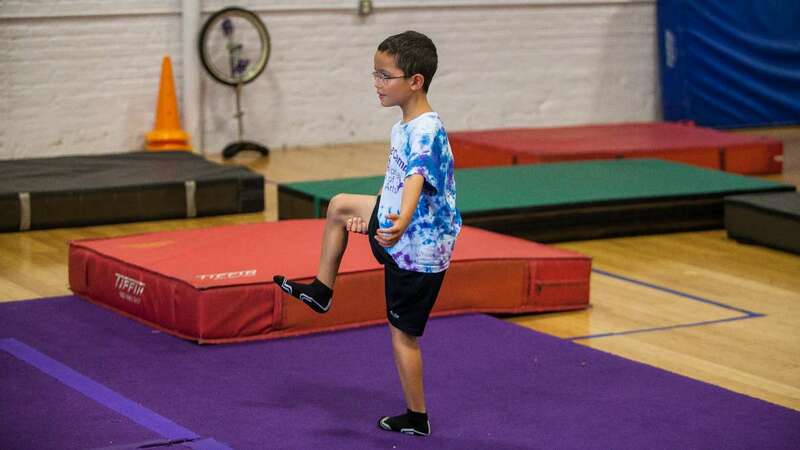 When summer comes, many parents look for activities like swimming or soccer camp, but Germantown’s School of Circus Arts offers an alternative that’s not for the faint of heart. 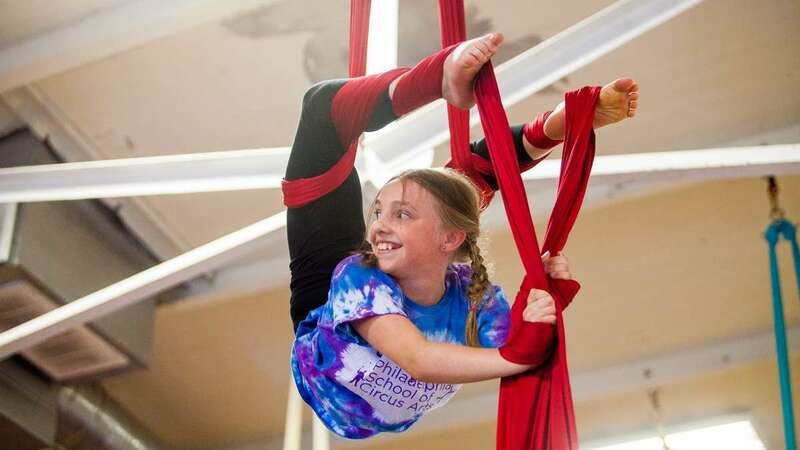 Some of the participating youngsters will learn to perform aerial silks routines 20 feet above the ground while parents will learn to stay in their seats and watch. 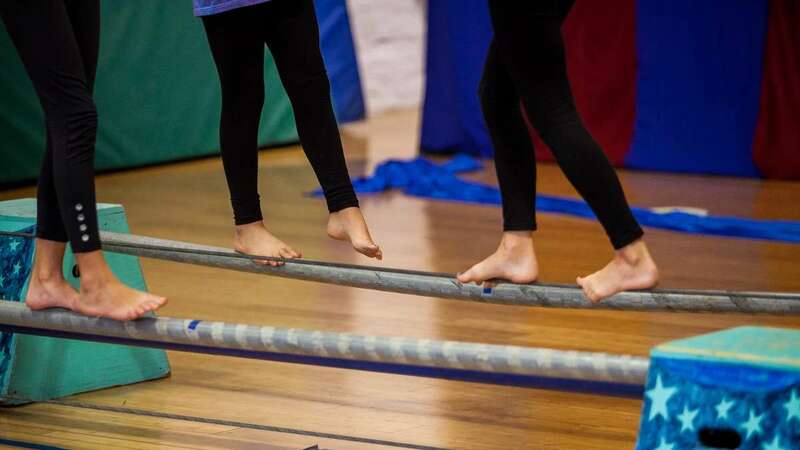 The School of Circus Arts, under founding director Cirque du Soleil alumna Shana Kennedy, offers a unique athletic and artistic oasis on Greene and Rittenhouse Streets. 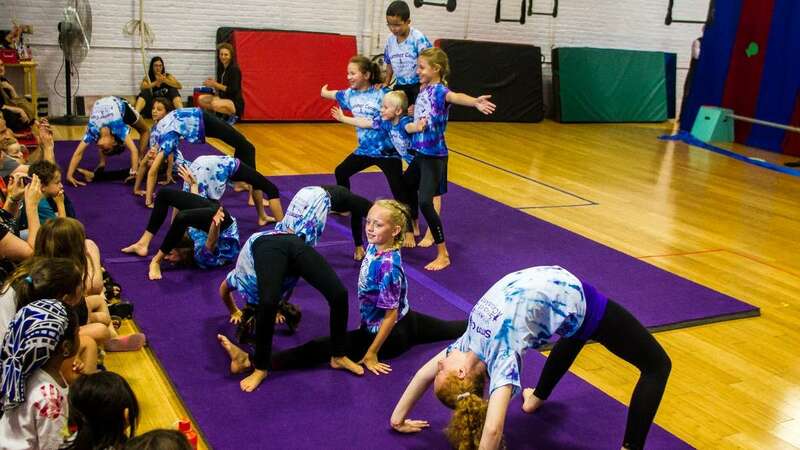 In 2008, the school launched its youth summer camps, which now feature several programs, including the Youth Circus Summer Camp for ages seven to 16, and the Kinder Camp, for ages five and six. 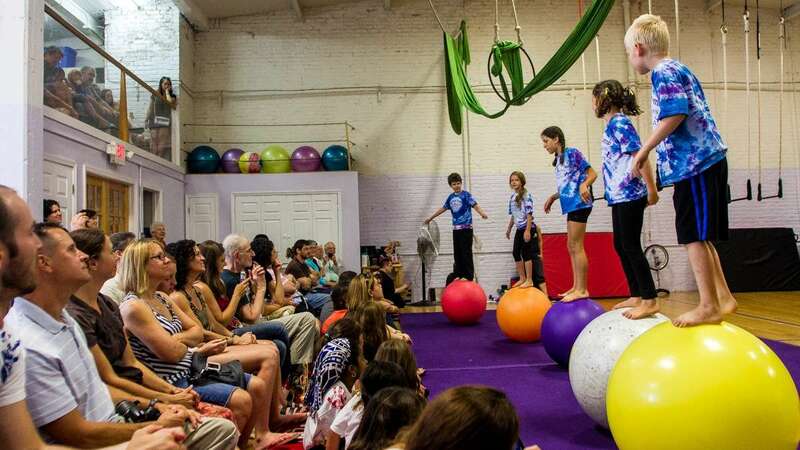 With a year-round program of performances and classes for all ages, the Circus School boasts expert teachers in a wide range of circus arts, from aerial silks, corde lisse, and trapeze to juggling, unicycle-riding, and tight wire, as well as clowning, tumbling and physical conditioning. 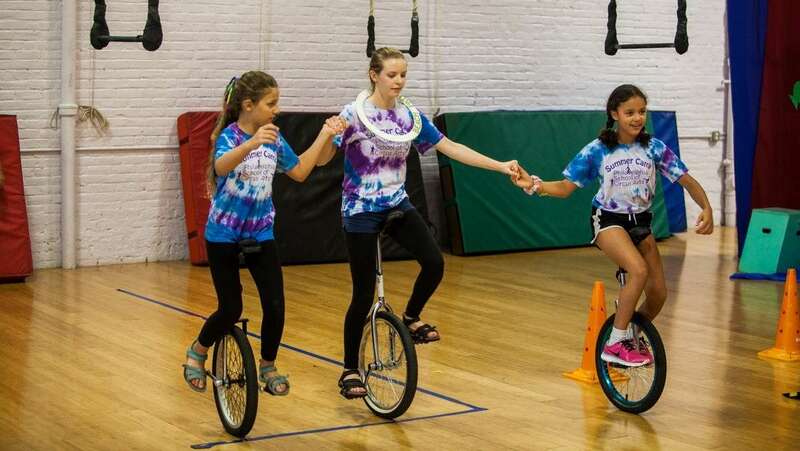 On Friday, the 36 kids who attended the summer’s second camp cycle offered their Camp Performance to a full and very admiring audience of family and friends in the Circus School’s spacious home, where unicycles wait high on the wall, and cords and trapezes hang from the ceiling. Chatting with NewsWorks before the show, Kennedy said while the camp takes kids up to age 16, most of the latest cycle’s campers were 13 and under (a mix of girls and boys). 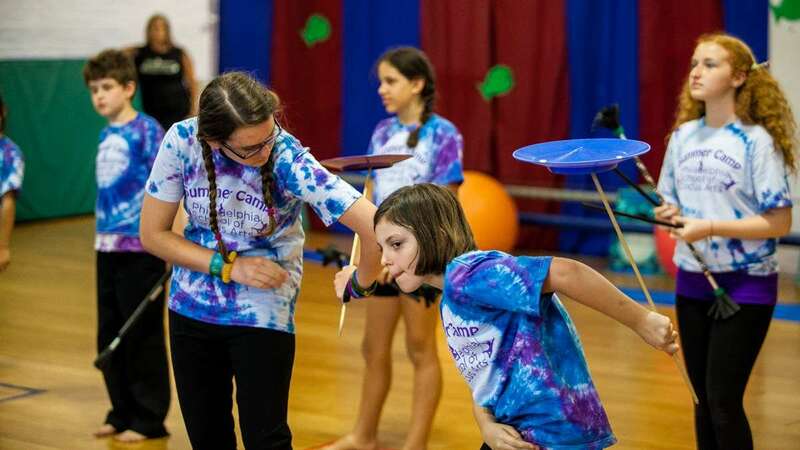 Admitting that that’s a pretty wide age range for teaching specialized skills, Kennedy explained that campers aren’t grouped by age so much as by skill level, as a large team of teachers discovers the kids’ interests and abilities. Kennedy also likes the idea of “athletic activity that’s non-competitive,” unlike many other sports-related programs. 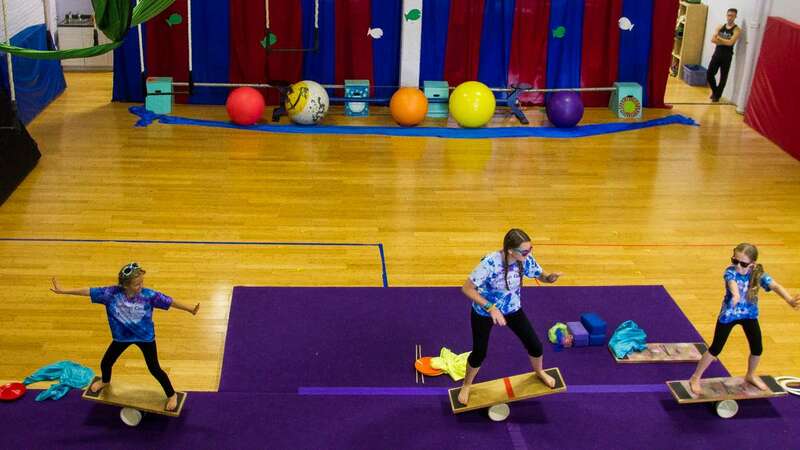 Each of the four annual summer cycles of Circus Arts camp runs for two weeks, from 9 a.m. to 3 p.m. Monday through Friday, and the sessions are so popular that reservations begin in January. As of Friday, staffers said that the only camp with a few spaces still available was this summer’s final one, running from Aug. 18 to 29. But families and members of the public interested in what the camp offers can attend either of the remaining camp performances, on Aug. 18 or Aug. 29 at 2 p.m. The kids picnic outside for lunch every day in Vernon Park, but Kennedy says they enjoy the circus training so much that “we have to drag them away” for a break in the park. 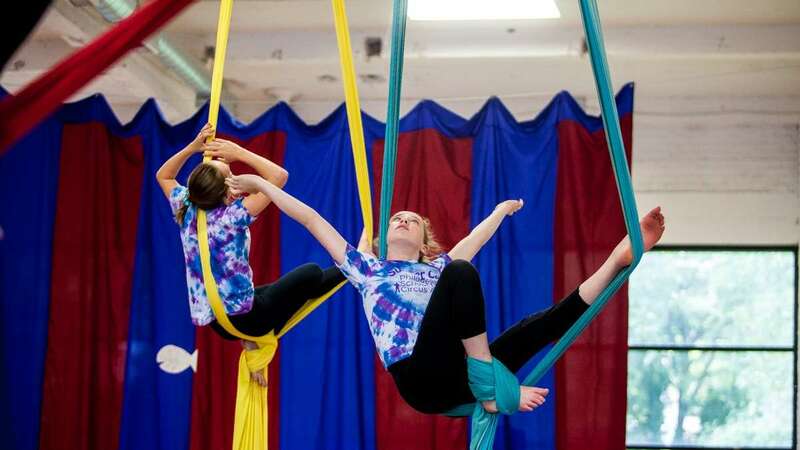 While many young children can begin to master circus arts skills, Kennedy says that even for aspiring professional performers, a later start in the circus arts is fine. Unlike the world’s top figure skaters or gymnasts, circus performers don’t have to begin perfecting their skills in childhood. Kennedy herself didn’t start learning aerial silks until she was 19. But there is one constant for everyone who learns circus arts, Kennedy insisted: It’s all about performance, and the camp show is mandatory for all. Some kids are born ready to get up in front of an audience, she said, but some have major qualms. 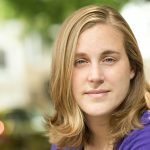 “The minute we start talking about a show, they get all scared and shy,” she said of the latter kids, but they don’t have a choice in the matter. Part of learning the circus skills is showing them off. Do parents worry about their kids learning such risky-looking skills? There might be the perception that things like posing on a trapeze or walking on big plastic globes are dangerous, but Kennedy said that proper safety measures are in place all the time, including large mats and expert faculty (who know each child’s abilities) spotting high-flying routines. 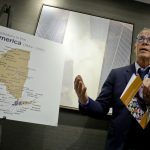 “The skills they’re doing here are no more difficult than gymnastics or swimming skills,” Kennedy said, and no more dangerous than those sports. The unicyclists appeared again to announce five minutes to show-time while an army of parents got their phones and cameras ready. The show began with a camp-wide dance number choreographed to “The Little Mermaid’s” Under the Sea, complete with a tiny mermaid lifted above a blue fabric “ocean” and diving paper fish. Overwhelmed with excitement, one little boy kept waving to his family from the front ranks. 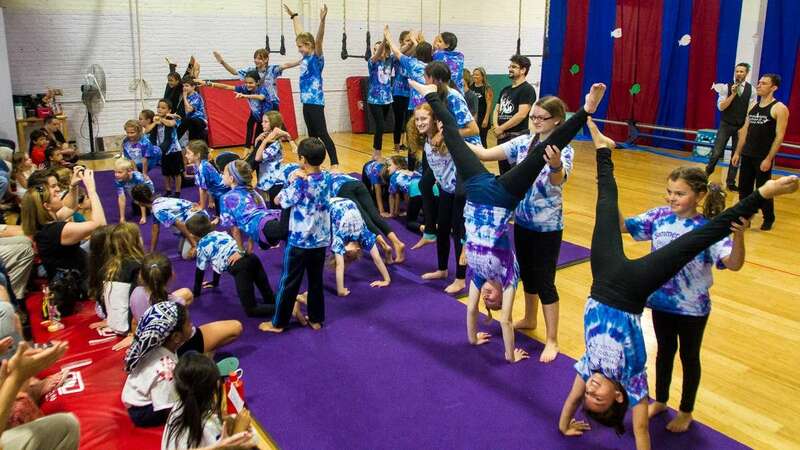 The kids wowed the audience with routines including aerial silks and static trapeze routines. 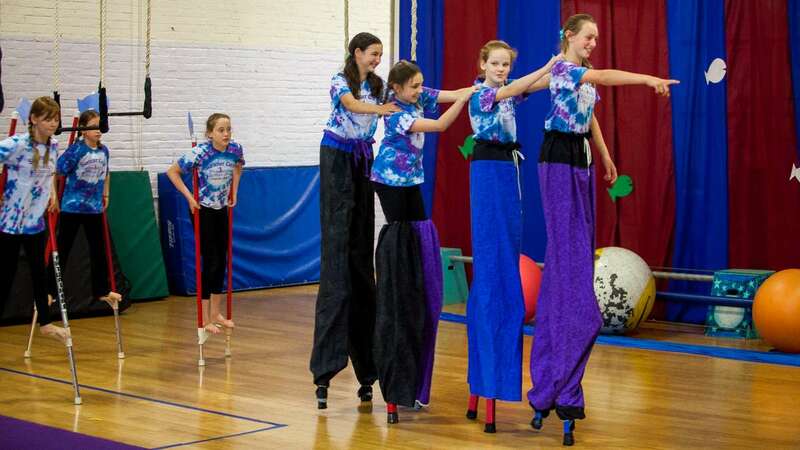 Youngsters balanced on globes, flew with cartwheels, somersaults, and flips, spun plates, juggled scarves, walked on stilts and tight wires, and other skills. The kids even had stylish little bits of clowning and physical comedy to perform in between. The occasional wobble off of a globe, dropped baton or stubbornly un-spinning plate didn’t dampen anyone’s enthusiasm, on stage or in the audience. The kids’ focus, patience, and collaboration showed in every glance at their peers. But Kennedy noted that for each teacher, the best moments aren’t in the proud performance.